An innovative and practical introduction to teaching science to primary students. Children have an innate curiosity about the natural world that makes teaching science a rewarding experience. However teaching science is an art that requires a unique combination of knowledge and skills to make the most of students' interest and foster their understanding. 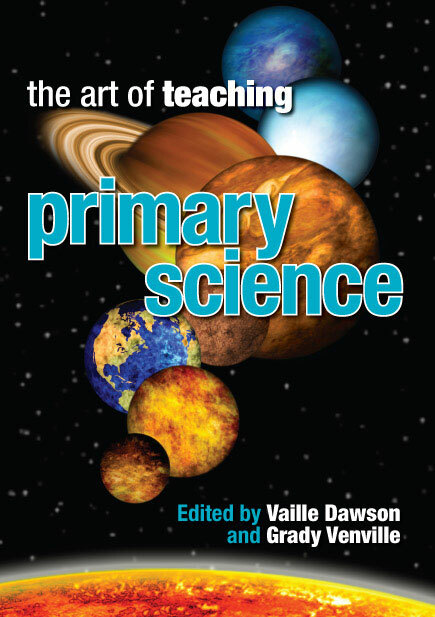 With contributions from leading educators, The Art of Teaching Primary Science addresses the fundamental issues in teaching science in primary and early childhood years. * key issues including scientific literacy, integrating science and technology, and activities outside the classroom. The Art of Teaching Primary Science is invaluable for student teachers as a guide to the fundamentals of science education, and as a resource for experienced teachers to review and enhance their professional skills. Vaille Dawson is Senior Lecturer in Science Education at Edith Cowan University. Grady Venville is Professor of Science Education at the University of Western Australia. Both have extensive experience as teacher educators, and they are the editors of the widely used secondary science education text, The Art of Teaching Science.